My name is Isaac Barreda Iam a peruvian artist from Lima the capital of Peru I was born in the port of Callao one of the bigger of South America in a popular neighboorhood. I start to paint very young when I was a kid and I never stopped. I am now living in France with my family. 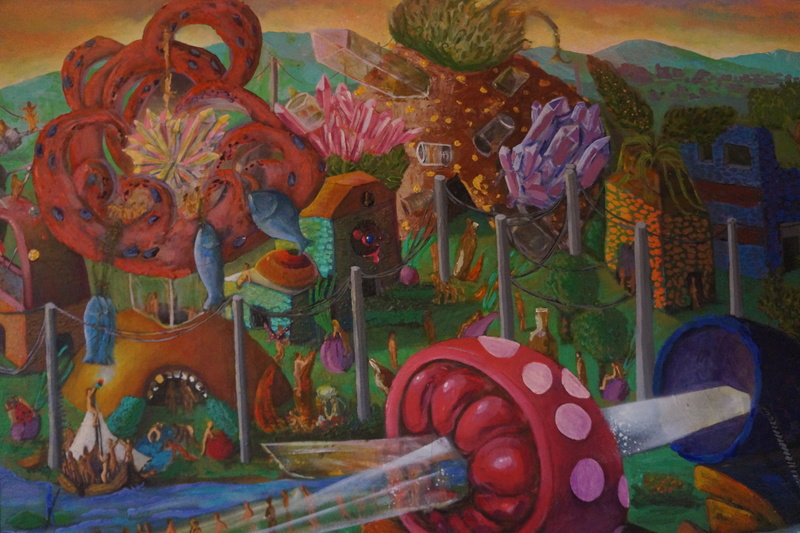 This work is part of a personal série that I began in peru 10 years ago, the size is 1.00 meter x 1.60 m, it is a mixed technical of acrylic, aquarela, oil and spray. 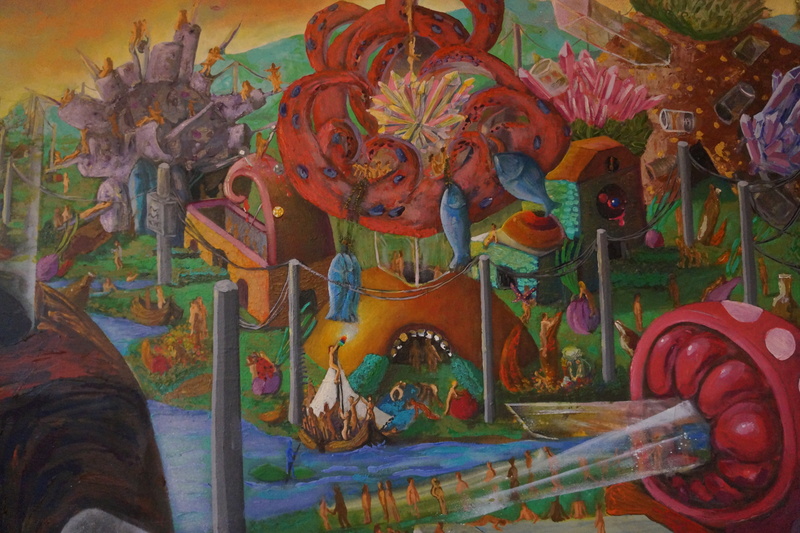 It represents an epoch of abundance and utopia, a paradise in earth with urban contrasts and esoteric symbology. Natural elements are the basis of a city and culture in an organic context, showing a society without complexes, united and mysterious.